In this section, you will find information regarding highly qualified personnel working currently in the CPR and LEARN laboratories. Each trainee has created a short biography and description of what they have done. This is a good source of information for individuals that may be interested in working in Drs. Bredin or Warburton’s laboratories. It is recommended highly that interested trainees consult our current trainees directly to learn more about their experiences at the University of British Columbia and the expectations and benefits that come from working in the Physical Activity Promotion and Chronic Disease Prevention Unit. Approximately 30 undergraduate students work under the direct supervision of Dr. Bredin and Dr. Warburton on an annual basis. Many students complete hypothesis driven directed studies and other serve as volunteers or research assistants on various community- and lab-based initiatives. Oliver is completing his PhD in Experimental Medicine at the University of British Columbia. With twenty years working in elite professional sports organisations either as Performance Director, chartered physiotherapist, exercise scientist, trainer, or consultant, Oliver has a wealth of experience in sports as diverse as soccer, Formula 1, NHL, NBA, NFL, tennis, athletics, bobsled, field hockey, rugby and canoe slalom. As an athlete represented Team Scotland at lacrosse over 140 times, including captaining the team and later holding the role as Performance Director. Oliver has a BSc (Hons) in Physiotherapy, a MSc in Sports Physiotherapy, a MSc in Exercise Physiology, and is completing his MSD in Sport Directorship. Oliver is passionate about how high performance sports organisations manage change and how this varies across cultures and sports. Oliver is organising an international scientific symposium in mindfulness and flow in performance; volunteers for Big Brothers, Vancouver; writes for Iconic Concierge magazine; represents UBC at lacrosse; participates in CrossFit and practices yoga daily. Yanfei is completing his PhD under the supervision of Dr. Warburton. He is currently examining the effects of fencing training on health of adolescents. Originally from China Yanfei completed a bachelor’s degree in Social Sports at Shandong University, and a master’s degree in Kinesiology at Shanghai University of Sport, where his work focused on Biomechanical analysis of fencing movement. During master’s study, Yanfei went to Human Movement Laboratory, University of Calgary as a visiting student. Out of laboratory, Yanfei dedicated his life in sports (basketball, tennis, badminton, Pingpang, Taekwondo, boxing). He coached Taekwondo in clubs from 2009 to 2013 in Ji’nan and Shanghai. After the graduation from Shanghai University of Sport, he spent one year coaching tennis and basketball for local amateur teams in Shanghai before coming to UBC. Nick Held is a PhD student working under the supervision of Dr. Warburton. He has extensive experience in sport/performance conditioning and rehabilitation for wide ranging clientele. This includes working with a variety of professional athletes from the NBA, NHL, AHL, MLS and CFL, as well as Olympic athletes from Field Hockey Canada, Canadian Soccer Association, Rugby Canada, Snowboard Slopestyle and Athletics. He has a Masters degree in Sport Psychology. As a current PhD student in the Cardiovascular Physiology and Rehabilitation laboratory at UBC he has a passion for helping athletes optimize performance and reach their full potential. He is currently working a high performance physiologist with Canada’s National Men’s Field Hockey Team. He played Junior B Lacrosse and was drafted to the QMJHL playing Junior A hockey in Ontario. Juliano is completing his PhD in Experimental Medicine at the University of British Columbia. With expertise in exercise physiology, health and physical activity promotion, and chronic disease prevention, Juliano has been currently working with lifestyle management and behaviour change. He is passionate in translating the best existing evidence to be applicable in people’s everyday lives, allowing a better life for everyone. Spending time with his wife and twin daughters is another great passion for him. Nana Wu is completing her PhD in the School of Kinesiology at the University of British Columbia. Nana is examining community-based lifestyle interventions designed for children living with type 1 diabetes. Originally from China completed a master’s degree in Kinesiology at Shanghai University of Sport. Currently residing on Coast Salish territory in Richmond, BC, Amanda is Cree Métis on her mother’s side and French and English on her father’s side. She is working towards completing her MSc in Experimental Medicine, Faculty of Medicine and her research interests lie within the field of Indigenous health, physical activity promotion, and chronic disease prevention. Amanda is working with SportMedBC’s HealthBeat and Aboriginal RunWalk Programs as the topic for her thesis, evaluating the positive health and wellness effects of a community-based lifestyle intervention in First Nations and Métis communities. When not working, Amanda can be found hiking, playing sports, travelling and on occasion, curling up in front of the fireplace with a good book. Andrew is completing his MSc under the supervision of Dr. Darren Warburton. He is currently investigating the role sleep deprivation and cognitive fatigue may have on the incidence of workplace injuries during shift work. Originally from Duncan, BC, Andrew completed a Kinesiology degree from UBC. He brings with him valuable work experience in the forestry industry, spending summers tree planting and firefighting, and the construction industry, working for the City of Vancouver and City of Duncan. These experiences have allowed him to develop valuable insight and a passion in occupational health and safety research. He also has experience working as a research assistant at the Cardiovascular Physiology and Rehabilitation Laboratory, Centre for High-Throughput Phenogenomics, and Moritz Eye Laboratory at VGH. Andrew is proud of his volunteer positions at and around UBC, which include the UBC Sleep Laboratory, GF Strong Rehabilitation Centre, Urban Native Youth Association Mentor, and Dr. Peters AIDS Center. Outside of the laboratory, Andrew enjoys playing sports, relaxing with friends and family, and spending time on Vancouver Island. Anne is completing her PhD under the supervision of Dr. Bredin. Anne’s research interests lie at the intersection of policy and kinesiology, particularly as it pertains to children’s health. Originally from Pennsylvania, USA, Anne completed a bachelor’s degree in Rehabilitation Science at the University of Pittsburgh, a master’s degree in Exercise Physiology at the University of Connecticut, and a master’s degree in Social Policy at the University of Pennsylvania, where her work focused on healthy policy and obesity mitigation strategies. After spending two years working in healthcare policy in Washington, DC, Anne returned to academia to complete her PhD at UBC. As a former Certified Athletic Trainer in the NCAA and avid exercise enthusiast, Anne maintains an ongoing passion for all things physically active. Mark is completing his PhD under the supervision of Dr. Bredin. Mark’s research focus is on skill acquisition and motor development in young athletes. Of particular interest is the use of perceptual skills in training to develop youth athletes. Originally from Calgary, Alberta, Mark completed a bachelor’s of science degree in Kinesiology from the University of Calgary and a master’s of science degree in kinesiology from the University of British Columbia. Mark brings with him a high level of sport performance in various sports, as an ex-pro golfer who played on the Canadian Golf Tour, as well as a national squash team member and high level hockey player. Beth is currently completing her MSc. in Kinesiology under the supervision of Dr. Bredin. Her research addresses typical and atypical growth and development of infants and children, particularly the gross motor proficiency of children born preterm. Beth’s academic interests span across topics of pediatric health, public health, and dance medicine. Her background includes chronic and acute injury prevention, treatment, and rehabilitation of an extensive range of populations through various experiences, including her time working within UBC Athletics and Recreation and as a kinesiologist within an orthopedic and sports physiotherapy clinic. Connor is an undergraduate student in the School of Kinesiology. He has recently completed a NSERC undergraduate fellowship under the supervision of Dr. Warburton. During his undergraduate fellowship, he participated in various basic and applied research investigations. He completed a directed studies project in the Physical Activity Promotion and Chronic Disease Prevention Unit. Connor was recently accepted into undergraduate medicine. Jade completed a MA under the supervision of Dr. Bredin. Jade is working as the Sport Development Coordinator at SportAbility BC. For her master’s thesis, Jade focused on research examining the various psychological factors in decision-making capabilities of ice hockey officials. She Grew up in Maple Ridge until her grade eleven year when she attended Warner Hockey School in Warner, Alberta. Jade played in the Junior Women’s Hockey League for her grade 11 and 12 years. Through hockey, Jade was recruited to play at Castleton State College in Castleton, Vermont, USA. At Castleton (2009-2013), Jade completed a BA Majoring in Psychology with a concentration in Health and a Minor in Fitness and Sports Science. Once returning home, Jade began coaching Female Midget AAA hockey (2013 – 2016). 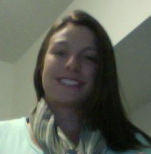 In her spare time, Jade enjoys playing hockey, skiing, slow pitch, ultimate frisbee, tennis, and hiking. Andrew completing his PhD in Experimental Medicine at the University of British Columbia. He examined performance enhancement and recovery techniques in Canada’s national levels athletes. Originally from Fonthill Ontario Andrew completed his graduate training specializing in Applied Exercise Physiology from the University of Calgary and a B.A.Sc. (Hons) degree in Kinesiology from the University of Guelph. His experience working at the Canadian Sport Institute, the University of Calgary’s athletic department and Thrive Cancer Research Centre. These experiences have allowed Andrew to develop expertise as a sport physiologist and a strength and conditioning coach. Andrew has worked with a wide population ranging from Olympic and national development athletes, professional athletes, CIS athletics, along with cancer patients. Andrew possesses a CEP, NSCA – CSCS, and a USSF – National “C” coaching certification. Andrew conducted research as a lead physiologist for Field Hockey Canada’s Women’s and Men’s National Teams. Andrew was recently hired at Langara. Kyra completed her MKIN under the supervision of Dr. Darren Warburton. Born and raised in Brampton, ON, Kyra is a varsity athlete who graduated from Howard University in Washington, DC with her Bachelors degree in Health Sciences. She is well versed in pharmaceuticals, as well as volunteers with CBI Health Group in rehabilitation. While at UBC, she gained experience working with Field Hockey Canada investigating the relationship between objective and subjective measures of training load. Kyra maintains a professional soccer player career in Sweden, loves traveling, documentaries, and spending time with her big family. Leah recently completed a Co-op placement under the supervision of Drs. Bredin and Warburton. Kai completed a MKIN under the supervision of Dr. Warburton. She examined the effectiveness of a novel health and wellness program in persons living with major mental illness. Jackie completed a MKIN under the supervision of Dr. Warburton. Jackie’s major research project examined the relationship between accelerometry-based measures and health status in occupational groups. Holly completed a MSc under the supervision of Dr. Warburton. Holly is originally from Calgary, Alberta, and completed an undergraduate degree in Kinesiology at the UBC-Okanagan. At UBC-O, Holly played four years on the women’s varsity soccer team. She is particularly interested in effective exercise rehabilitation with breast cancer patients as they transition through chemotherapy, radiation, and post-surgery. Holly has worked as a kinesiologist / physical therapy aid, and volunteered with the Canadian Cancer Care Society, InspireHealth Cancer Facility, and Phoenix Health and Fitness for Chronic Disease. Outside of academic life, Holly is an avid sports competitor, mainly in soccer and volleyball. She is currently coaching a U15 girls team in West Vancouver. She examined the effectiveness of a primary cancer prevention program in occupational settings. Lauren Buschmann completed her MSc. in Kinesiology (School of Kinesiology) under the supervision of Dr. Warburton. Lauren is originally from St. Catharines, Ontario. She graduated from the University of Vermont with a BSc. in Exercise and Movement Science. While at the University of Vermont, she was a four year player and two time captain of the varsity women’s basketball team. During her time at Vermont, she was a named a member of the America East Conference All- Academic Team (2013), and All- Conference Third Team(2013). Her research interests lie in exercise physiology, strength and conditioning and elite athletic performance. She has NSCA Certified Strength and Conditioning Specialist (CSCS) certification. Her MSc examined means of optimizing training and recovery in elite and high performance athletes. Macklin Loveland is a second year Medical Student at the American University of the Caribbean School of Medicine. Macklin completed an undergraduate degree in Kinesiology majoring in Health Sciences with a minor in human genomics within the Faculty of Sciences. He has three years of experience as the Head Student Athletic Therapist for the UBC Women’s Soccer team. He has great interest in sports medicine and exercise physiology within clinical populations, with particular interest in the cardiovascular system. Macklin Loveland started out volunteering in the Physical Activity Promotion and Chronic Disease Prevention Unit during the 2012-2013 school year working with Alis Bonsignore (MSc Student). He subsequently received an NSERC Undergraduate Student Research Award to work in the CPR & LEARN lab during the summer of 2013. He acquired extensive exercise and fitness testing experience, and pulse wave velocity and compliance data collection training. He has also played a roll in data collection and analysis for several projects within the CPR & LEARN lab. He worked on a systematic review with Alis Bonsignore, Dr. Bredin, and Dr. Warburton. He gained considerable hands on experience that has enhanced his undergraduate education and developed his research tools. He has used these experiences during his Medical school training.